F1 sporting boss Ross Brawn says he was encouraged by the early performance of new aero rules in Melbourne. 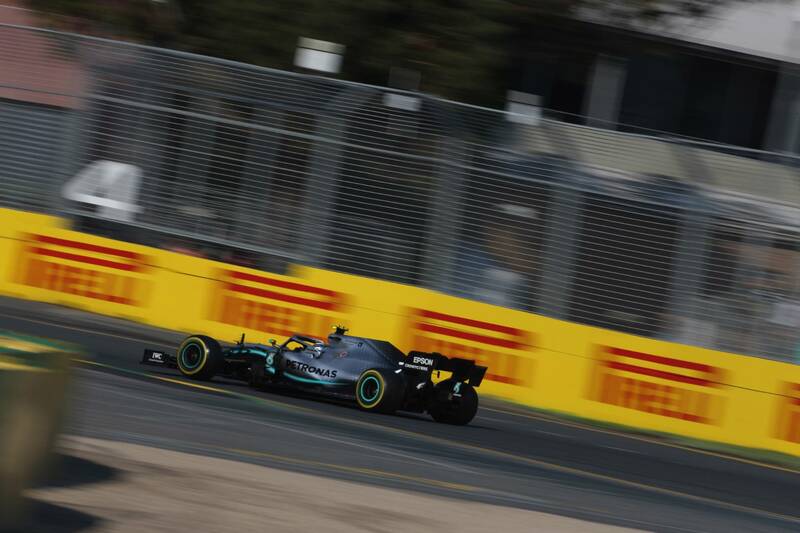 Sporting chief Ross Brawn says he found the initial signs from Formula 1’s new aerodynamic regulations “encouraging” following a rise in overtaking at the Australian Grand Prix. F1 introduced a revised set of aero rules with simplified front and rear wings aimed at improving a car’s behaviour when following in the wake of another and ultimately helping to improve the quality of wheel-to-wheel racing. At the season-opening race in Melbourne, 14 overtakes - six completed without the aid of DRS - were made, representing a rise on the three passes from the 2018 round. The Albert Park street circuit is notoriously difficult to overtake at, yet a number of drivers, including Haas’ Romain Grosjean, reported that the new rules for 2019 have made it “easy to follow” other cars, if not overtake them. “Judging by the number of passing moves in the race; 14 this year [6 without DRS] compared to three in 2018, the initial signs are encouraging,” Brawn said. “Especially as apart from the actual overtakes; we saw some thrilling battles. Another rule tweak on the eve of the new campaign saw the return of a bonus point for fastest lap on offer for drivers inside the top 10. While the change initially faced some backlash from fans, it made for an exciting end to the race as a number of drivers battled it out for the extra point on offer. The bonus point was ultimately claimed by Valtteri Bottas as he made a perfect start to the season with a dominant victory over teammate Lewis Hamilton. The Mercedes driver believes the extra 21 points will make a “big difference” in the title fight, while Red Bull’s Max Verstappen said it can be “quite powerful”. Brawn added: “In a race in which the podium positions seemed set from early on, the fight to claim that one extra point, in the knowledge that it could be vitally important in the closing stages of the championship, certainly livened up the closing stages of the race.